Through our batch photo editing services, we can apply a parallel effect on multiple images to give you same outcome at once. If you have any batch of product photos for your online or e-commerce business, we can provide batch photo processing services with the best industry turnaround and at an affordable price. We can customize the type of editing you need for your photos, which includes cropping and resizing photos, hiding colors, applying color corrections, applying shadows, and some photo editing. Outsource2india is a leading batch photo editing services in India with around 20 years of service experience. Our photo editing team consists of over 200 qualified experts who can churn out the batch photos 24/7. We have collaborated with multiple businesses, agencies, e-commerce stores, studios, and many more. If you have bulk RAW files in various formats, such as JPEG, PDF, PNG, EPS, PSD, TIF, etc., then you can outsource batch photo editing for the RAW files to us. 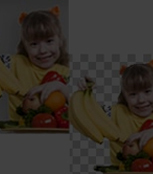 Our team will convert the photo to the desired format. Our proficient team of batch photo editing professionals can provide background elimination or background replacement services for e-commerce entrepreneurs, graphic designers, photographers, studios. The background removal service will help you enhance the quality of the product photos. Under our cropping and resizing services, we can customize the image with respect to the platform in which it has to be added. Or, if you have a specific requirement, which may include compliance or standard of editing, like the e-commerce store, then, we can do that for you at a competitive rate. We offer photo culling services for bulk orders in Photoshop and Adobe Lightroom. 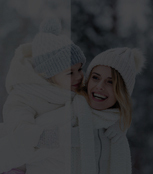 We can hand-pick the best selection of pictures from hundreds of photos, including e-commerce product photos, travel photos, wedding album, etc. The ghost mannequin effect photo editing services are valuable for e-commerce, apparel companies, and designers. Through this service, our team can do 360-degree editing, which includes, 3D neck joints, bottom joints, sleeve joints, etc. If a photo is perfect, it can appeal to a large base customer and can increase the website's traffic. We offer photo enhancements for all types of commercial and private photos, which can improve the value of your brand. When you decide on outsourcing batch photo editing services to us, we can enhance the quality of blurry photos. Our team can handle a variety of photos, from personal to professional. 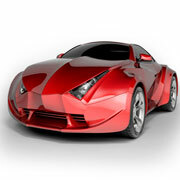 The raster to vector conversion saves time without affecting the quality of the converted photo. These photos can be used in a larger area such as big or small billboards, hoardings, etc. Under our offshore batch photo editing services, we can assist you with all post-production work. This way, you can get the best image output and commercialize the photos. 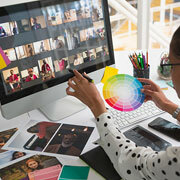 With color correction, you can control the color and exposure of the photo. It will also help you alter and enhance the image for a wider appeal. If you have a fixed budget and lack the necessary tools/capabilities to get quick results, you should not be discouraged. We have established an aggressive, industry-specific pricing model based on project complexity, processing time, photo traffic, etc. Outsource2india has been certified to ISO / IEC 27001:2013. This highlights our commitment to protect your data/photos from unauthorized disruptions and interventions. In addition, our offices, delivery centers, and systems are fail-safe and can prevent any security breach. 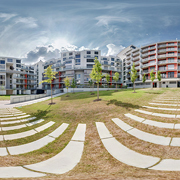 At O2I, our batch photo editing specialists use state-of-the-art photo editing tools, techniques and systems to finish projects within the delivery time. If you decide to outsource batch photo editing services, you can count on us to receive only high-quality photos that will help you increase your return on investment and improve the brand value. If you choose us as your batch photo editing services partner, you can reduce turnaround time by 50%. Our team works professionally and are trained to work efficiently at every stage of photo editing. Your project and records/files are vital to us. That is why we are dedicated to making the database more secure. Moreover, your photos will always be sent/received only via encryption protocol and through FTP and will not be published or reproduced without your consensus. We have more than 20 years of industry experience in providing batch photo editing services to our customers around the world. We only use the best batch photo editing team whose strength is about 200 dedicated employees. Our support team is available at your services 24 hours a day, 7 days a week. With fast response and wide industry knowledge, they can solve your problems/issues at once. We have a wealth of resources, including adept staff and modern tools to scale up the batch photo editing project. This way, you can grow your business without adding extra resources or investing in new infrastructure. 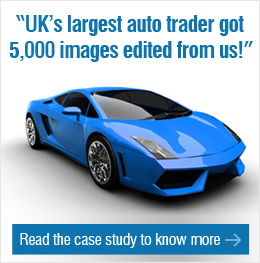 Read how UK's largest auto seller got 5000 automobile images clipped/edited in a month, without sacrificing on the image quality. 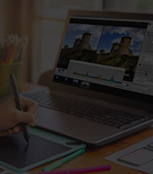 Read how O2I did stitching, mismatch correction, brightness & sharpness alteration, and rendered the final output in JPEG formats that helped the client save 60% of the cost. What a fantastic service I received from Outsource2india! Very quick to respond, very helpful and extremely communicative. For 20 years, Outsource2india has been offering batch photo editing services and other photo editing services to its worldwide clients. Our expertise in providing services to various industries and verticals helps us recognize their business models and enables us to tailor our batch photo editing solutions to their needs. Our team has a broad understanding of all modern image editing tools and can provide quality service. If you have any batch photo editing requirements for commercial or personal use, get in touch with us. We are happy to help.